Paperback, 8.25 x 11.5 in. / 108 pgs / 51 color / 18 bw. For his exhibition at the Museum Dhondt-Dhaenens, Brooklyn-based artist Richard Aldrich (born 1975) presented works spanning his career, that taken together form a web of references to art history, music and autobiography. 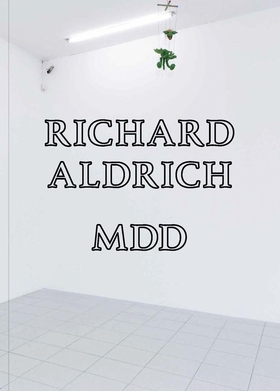 This book includes Aldrich's texts written between 2004 and 2013. FORMAT: Pbk, 8.25 x 11.5 in. / 108 pgs / 51 color / 18 b&w.